A nice walk with a professional guide through the woods at the beginning of Mount Meru. Mount Meru is the second highest mountain in Tanzania and is located in the beautiful Arusha National Park, next to the famous Mount Kilimanjaro. You walk with your own guide through the woods at the foot of Mt. Meru. 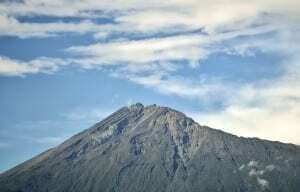 It is a beautiful, sleeping volcano with fertile slopes and has a height of 4,566 meters. This is a very nice walk with a view of Arusha town and the long Maasai steppes. 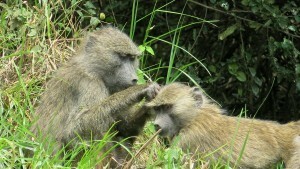 You will visit a number of local villages, a Maasai village and waterfalls. The costs for this walking tour are € 59.00 per person. The price includes water, lunch box, guide, transport and village fees.